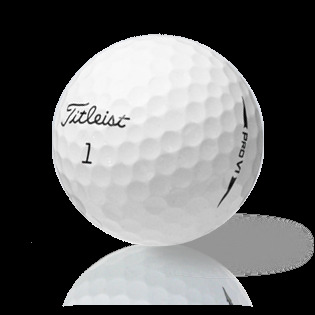 2018 Titleist Pro V1 AA/C Grade - 100 Balls just $79.99, save $30.00! These are current model 2017 Titleist Pro V1's, the exact same ball as selling in the pro shop's for $75+ per dozen. Save big by purchasing from Lost Golf Balls. 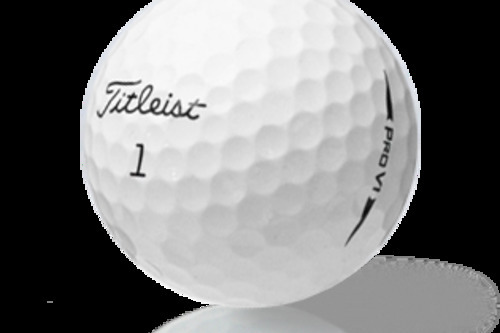 These current model 2017 Titlest Pro V1's are to quote from Titleist, "the most advanced, best performing golf balls ever stamped with the Titleist script. Precisely engineered using the most sophisticated golf ball technology, new Pro V1 provide total performance for every player and deliver unmatched quality and consistency." The longest Pro V1 ever, they deliver lower long game spin with a re-engineered Next Generation 2.0 ZG Process Core. The new spherically tiled 352 tetrahedral dimple design produces a hugely penetrating trajectory with even more consistent flight. Greenside spin is maintained which creates a longer shot distance with huge grip and control around the greens. The list of golfers using the 2017 Titleist Pro V1 reads like a who's who of golf. Join Adam Scott, Henrik Stenson, Ricki Fowler, Paul Casey, Charl Schwartzel, Kevin Kisner and play the most popular line of golf balls in the game today. Isn't time you played the best ball?